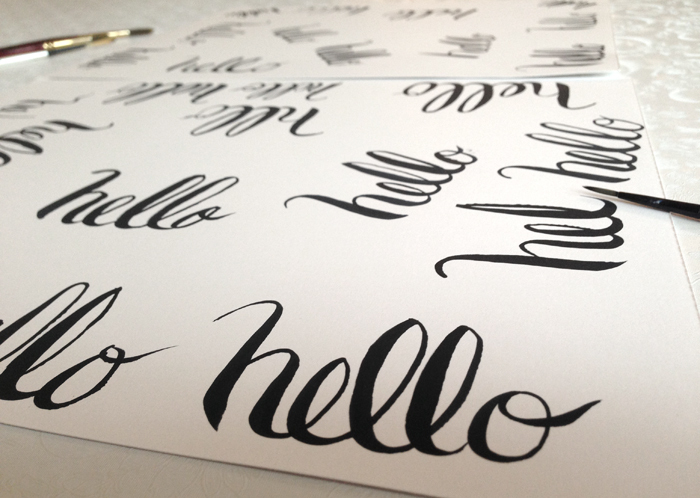 I took a modern calligraphy workshop over the weekend. I’ve been interested in hand lettering for a while now. 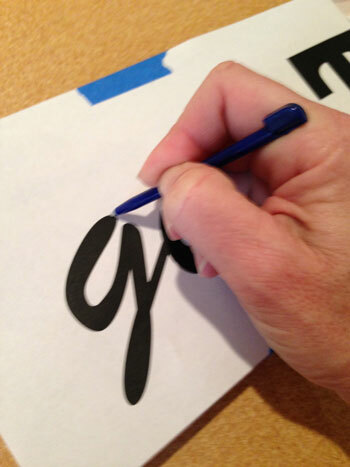 A few years ago I took an online lettering class where I used a brush marker – a Tombow, which is a flexible marker that can produce thin lines as well as thick lines when you apply pressure. This weekend was the traditional route with a calligraphy pen with a nib, ink, and an ink well for dipping. It was interesting, in this day of online learning, to be sitting at a table, chatting with a group of strangers. It’s one of the elements you don’t get with learning online. The person on your left saying to you, “That looks great!” Although three hours seems long, the class flew by. The teacher, Christie Jones of Swell Anchor Studios, was really nice and thorough, demonstrating the steps to create each letter on a blackboard. Another benefit to learning in person, Christie and her sister, walked around answering questions, and offering help and suggestions as we worked – things like proper posture, holding the pen correctly, and the amount of pressure to apply. 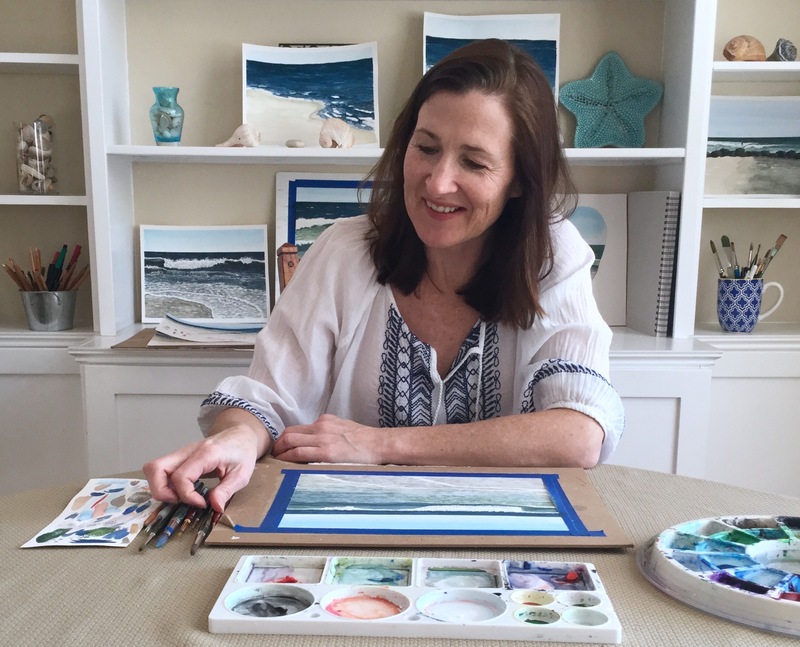 The main takeaway was – as with anything – if you want to get good at it, you have to practice. The workshop included all the supplies and materials needed to practice at home, which is great. Christie also has a closed Facebook group for those that have taken the class. She encouraged us to share our work online and reach out to her whenever we hit a snag. 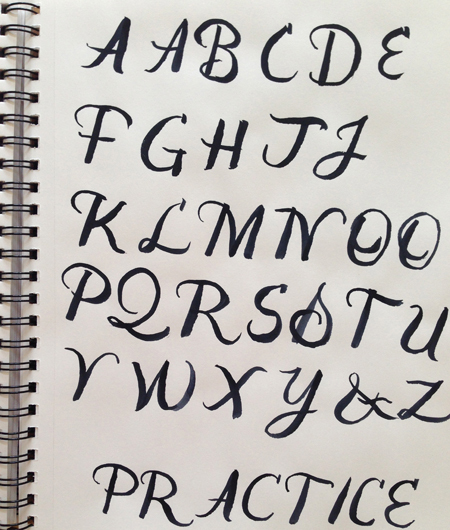 If you are interested in learning calligraphy and an “in person” workshop doesn’t work for you, Christie recommends the book Modern Calligraphy: Everything You Need to Know to Get Started in Script Calligraphy by Molly Super Thorpe. Black Ink and an ink well – a small jar or tupperware container will work. We used dinky dips. 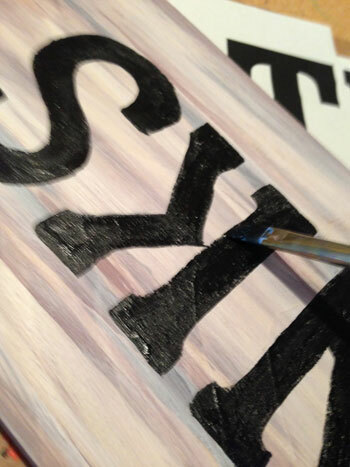 I want to incorporate lettering into my paintings. 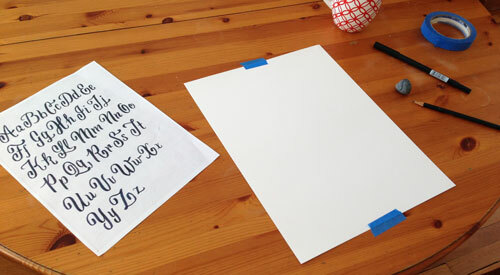 I’m hoping to use what I learned and apply it to lettering with a brush and watercolor. 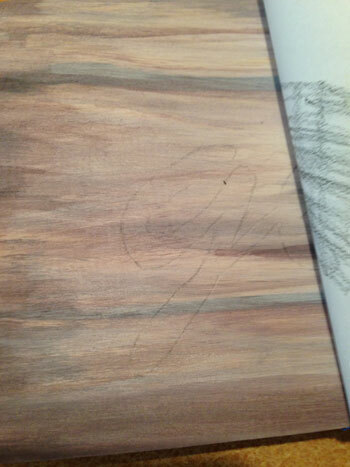 I’ll keep you posted on my progress! This posts contains affiliate links. I earn a small commission whenever you buy using these links. Thank you for supporting my blog! 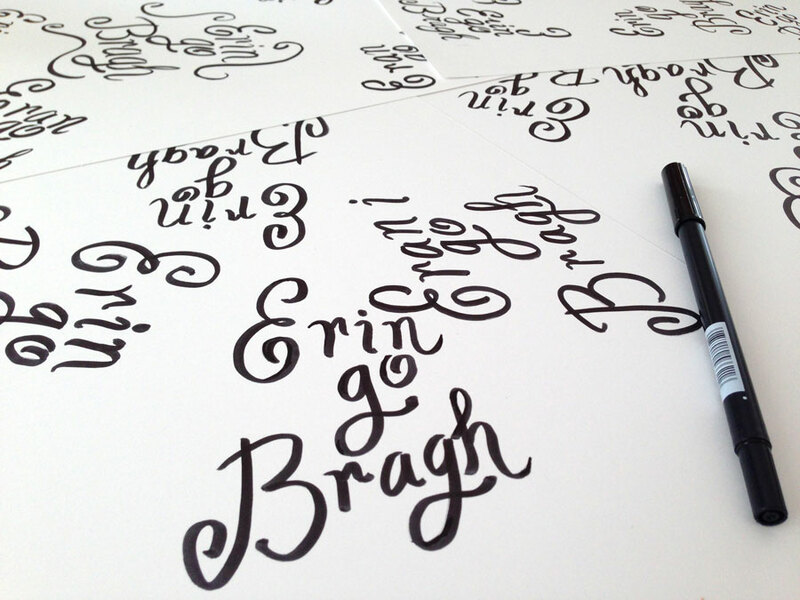 Categories: Lettering | Tags: calligraphy, hand lettering, modern calligraphy | Permalink. I wanted to write the phrase perfectly, so I kept practicing. After a couple of tries I started to “get” how the words best fit together. Thirty-four tries later, an hour later, my hand was tingling and it still wasn’t perfect! My letters were definitely improving, but I have a long way to go. To get the hang of hand-lettering, I’ll have to work at it. And this is only one style of the alphabet! 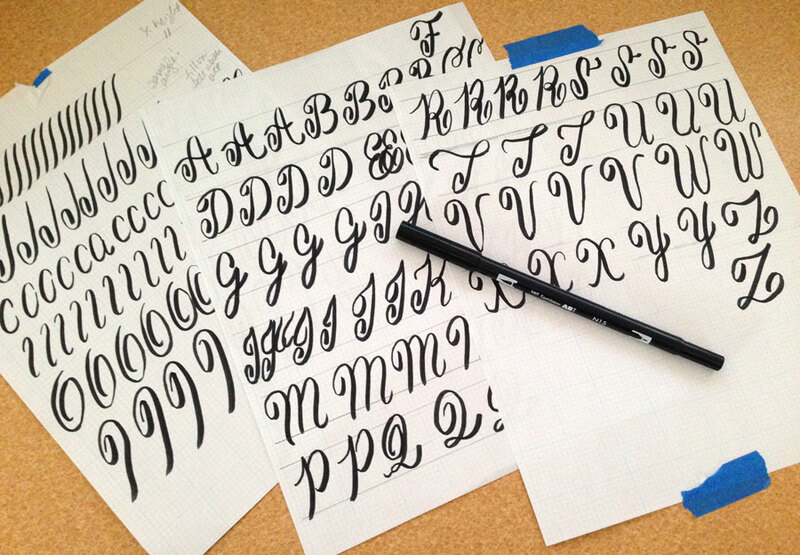 Categories: Lettering | Tags: Art, lettering | Permalink. Last week I decided to try my hand at lettering. I love the look of painted words in a watercolor. 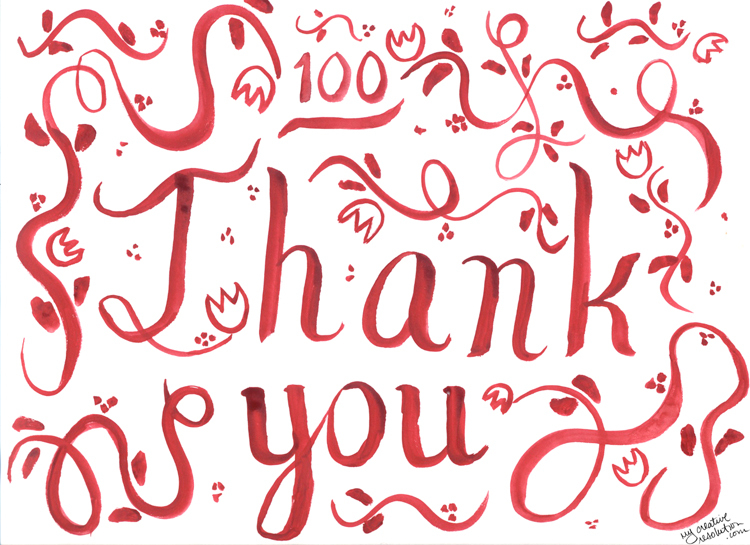 I kept painting “thank you.” I think I was hopefully anticipating one more follower which would bring me to 100. A goal I couldn’t even fathom when I started. Since last week, several new followers have pushed me past this goal. So, I want to thank all of my followers! Your feedback is an amazing source of motivation to me! 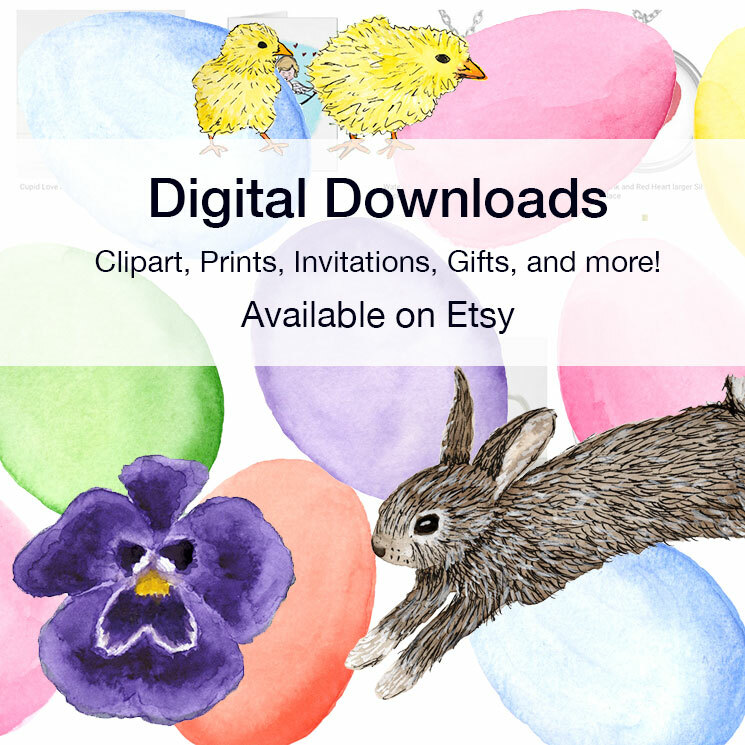 Categories: Lettering, Watercolor | Tags: 100 followers, art projects, lettering, paint, painting, thank you, watercolor | Permalink.